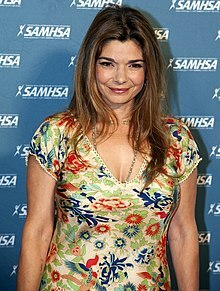 لورا سن جاکومو (اینگیلیسجه: Laura San Giacomo) آمریکالی اوْیونچو ۱۹۸۷–گۆنوموز ایللر آراسیندا سینما ساحه‌سینده چالیشیب. 1987 Spenser: For Hire Sharon Episode: "On The Night He Was Betrayed"
1988 Crime Story Theresa Farantino Episode: "Protected Witness"
1989 The Equalizer Trudy Collins Episode: "The Caper"
Miami Vice Tania Louis Episode: "Leap of Faith"
1995 Fallen Angels Peggy Episode: "Fly Paper"
2003 The Handler Karen Episode: "Homewrecker's Ball"
2006 Related Ann Sorelli Episode: "Pilot"
2010 In Plain Sight Mia Cusato Episode: "Death Becomes Her"
The Defenders Judge Anna Desanti Episode: "Nevada v. Sen. Harper"
Medium Susannah Collings Episode: "The People in Your Neighborhood"
2011 Hot in Cleveland Caroline Episode: "Beards"
2013 The Mentalist Miriam Gottlieb Episode: "Red John's Rules"
2018 Grey's Anatomy Marjorie Kersey Episode: "Caught Somewhere in Time"
اینگیلیسجه ویکی‌پدیاسی‌نین ایشلدنلری طرفیندن یارانمیش«Laura San Giacomo»، مقاله‌سیندن گؤتورولوبدور. ( ۲۱ دسامبر ۲۰۱۷ تاریخینده یوْخلانیلیبدیر). قارداش پروژه‌لرده لورا سن جاکومو گؤره داها آرتیق بیلگی‌لر تاپابیلرسینیز.